Gain an advantage by incorporating these 6 Muscle Stim Programs into your Fitness routine! 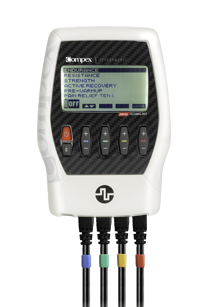 Newly upgraded with TENS for pain management, the Compex Performance 2.0 Muscle Stimulator device is for those who engage in frequent physical activity and are looking to boost physical performance in a variety of settings from the gym to sports competition. No Muscle-Intelligence Technology available.